the spectacular Roxburghe Golf Course is set in the heart of the Scottish Borders near Kelso. Green Fees / Book now. The Roxburghe Championship Golf Course is open all year round and warmly welcomes visitors to play the course either as an individual, 4 balls or as part of larger society/corporate group. by readers of the country’s biggest-selling golf title, Bunkered. the spectacular Roxburghe Golf Course is open all year round. to book contact Craig at the Professional Shop on 0157 3450 333. 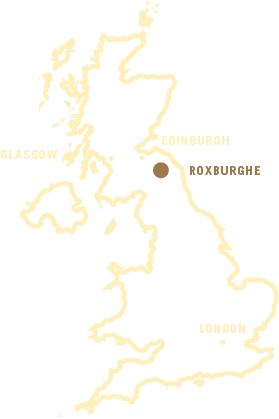 Everything you need to know about joining the Roxburghe Golf Club. Based in Düsseldorf, Germany 12.18. is a group of company with more than 30 years of expertise and sound industry knowledge from its two managing partners. 12.18. Investment Management GmbH focused on high-quality investments in unique touristic properties with great development potential in the best locations in Germany and Europe. The company currently manages ten extraordinary properties with an investment volume of €245 million and more than 1,100 employees in Germany and Europe. 12.18. provides professional representation throughout the entire value chain; from the first site survey and profitability calculation through further planning, conception, financing and execution of a project to operation or sales. The 12.18. name is composed of the alphabetic position of the first letter of each managing partner’s surname, Jörg Lindner and Kai Richter. 12.18. Hotel Management GmbH was created in August 2016; based in Berlin, it is responsible for the strategic and operational management of its own hotel properties. An additional arm of the business, Vermögensmanagement GmbH is responsible for the distribution of the acquired real estate. Set in the beautiful nature of the Scottish Borders this historic property with 20 bedroom luxury hotel, championship golf course and full range of sporting pursuits on the Roxburghe Estates, offers a getaway destination little more than an hour’s drive from both Edinburgh and Newcastle. Formerly owned by the Duke of Roxburghe, the hotel, golf club and part of the grounds has been acquired by the 12.18. group. A charming country house exquisitely enhanced by an extensive and tasteful refurbishment with further plans to build a separate extension to feature 57 additional rooms as well as a luxurious spa and a state-of-the-art meeting space. In addition, 60 lodges will be built on the surrounding estate that will allow the new SCHLOSS Roxburghe to extend its room inventory further to holiday-makers.